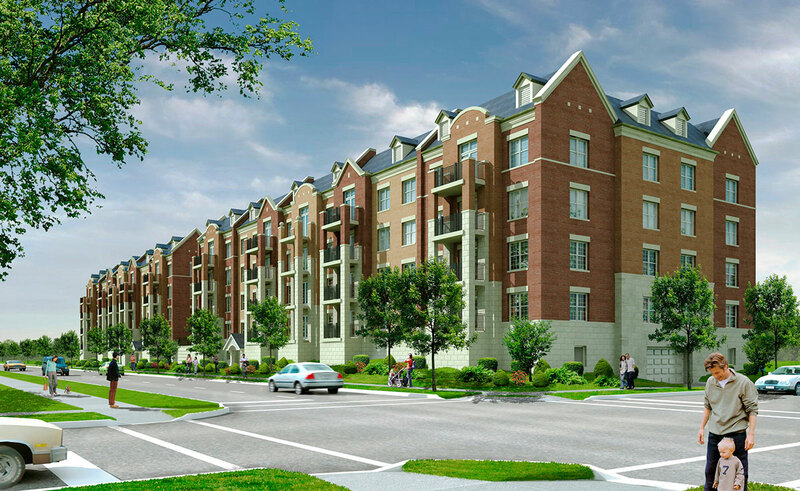 Heritage Square Condominiums in Grayslake was designed as a 2 tower, 2 phase development with 36 dwelling units located in each tower. The 72 indoor parking spaces are located on the ground floor, above which is located an outdoor terrace between the buildings. The exterior of the buildings were designed to break up the massing of the building by introducing different brick colors and architectural details.